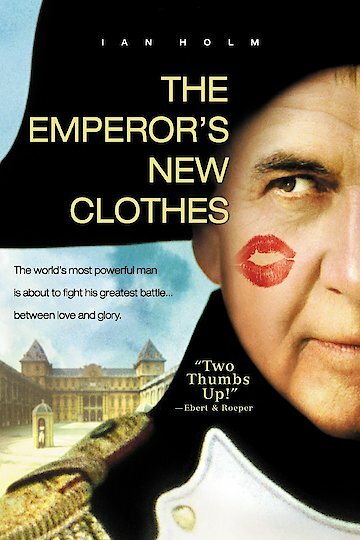 In The Emperor's New Clothes, an egocentric Emperor is concerned more about wearing elegant clothing than the people in his empire, is scammed by two men claiming to be great tailors. These two con-artists Trick the Emperor into believe that they will give him the finest clothing. Clothing that is so fine, it is only fit for someone of the Emperor's status. This suit, the swindler's claim is so special that it is actually invisible to anyone who is unfit to own it, or to people who are just "hopelessly stupid". Fooled by the swindlers, the Emperor finds himself unable to see the clothing, and to avoid being seen as hopelessly stupid, or unfit to wear the clothing, he and the rest of his town pretend to recognize the Emperor's pretend outfit. The Emperor's New Clothes is currently available to watch and stream, buy on demand at Vudu online.